The Choir of Christ Chapel will present their home concert at 7:30 p.m. on Monday, April 10 in Christ Chapel. Under the direction of Dr. Brandon Dean, the choir is returning from tour with performances in Wisconsin, Iowa, and Minnesota. This concert is free and open to the public. 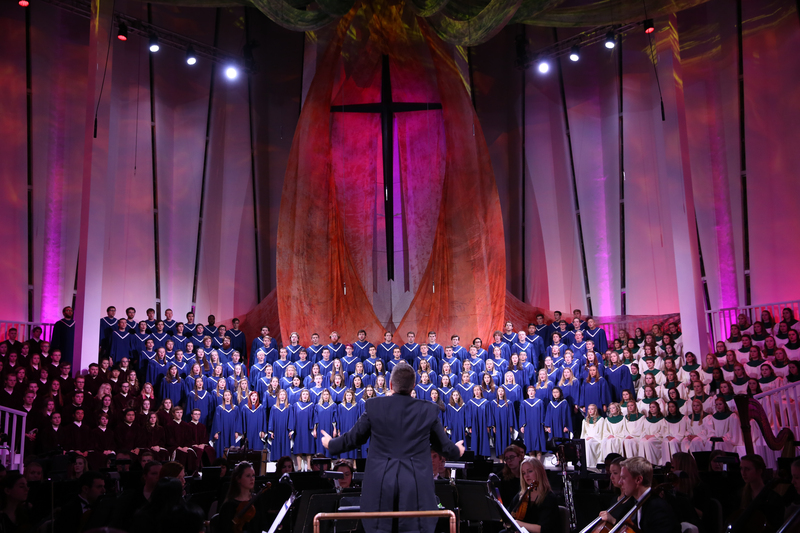 For 50 years, Christ Chapel has been a center for faith exploration, lively intellectual discourse, and vivid music expression on the campus of Gustavus Adolphus College. The Choir of Christ Chapel, a 110-voice mixed ensemble in an active and highly integrated choral program, performs fine repertoire selected specifically to complement various liturgies celebrated on campus. 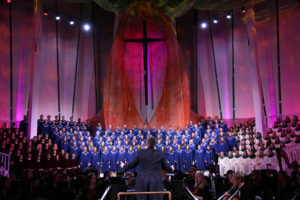 The choir tours annually with a program of choral repertoire to both promote the mission of the College and to connect students and congregations alike with the rich musical heritage of the Lutheran church. The Choir of Christ Chapel is recognized for its musical approach to singing and its enthusiastic and polished performances of a broad array of choral repertoire. This year’s program will feature the music of significant historical figures including Thomas Weelkes and Felix Mendelssohn, as well as rising stars like Ola Gjeilo and Ryan Murphy. The concert will also feature a unique setting of sacred music from Africa by David Fanshawe.